22% said they had no system to manage contracts with suppliers or customers. Did you spot the puzzling response in the fact above reported by Brodies LLP? We’ve heard of plenty of organizations that still file contracts in paper, or track them in spreadsheets. But calendar? All we have to say is: if you’re managing contracts primarily by using a calendar … you’re doing it wrong. It’s not as bad as it sounds of course: who doesn’t want to alert themselves to key dates? But, using a calendar sounds like all you’re concerned with is when contracts expire. And that can mean you are not managing your contracts as much as reminding yourself when to panic every year. 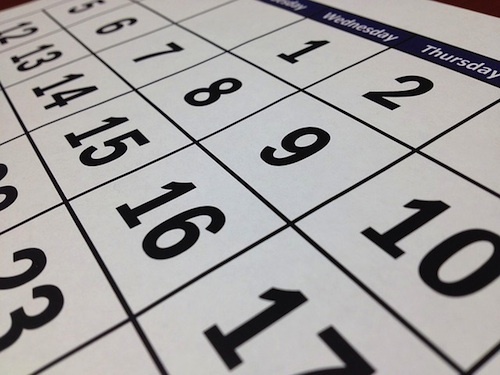 A calendar can never do what a database (such as Contract Assistant) can do for you: It can’t record all the elements of a contract, create financial summaries, and help you identify key parts of the contract. It also can’t provide a single record where all your many documents related to a contract can be stored (or linked to). As some of you who work with contracts may know … the red-letter day that a contract expires is pretty much the wrong day to review a contract. It all needs to happen long before (30-60 days out, at least) that day pops up on your calendar. The article posted on Brodies’ site also reports that 36 percent of those surveyed said they only review contracts “once or less” a year and another 10 percent said they don’t know. So that’s a total of 46 percent who appear to do the minimal — or less. And what’s “less than once”? … You got it. It’s zero. Of course, someone could have just forgotten to check their calendar that day. I have used Contract Assistant PRO to organize and manage large volumes of contracts for more than one year. This software has added tremendous value by increasing efficiency and serving to make internal contract compliance audits a breeze. I have been very pleased and impressed with the sorting, reminder and reporting features of the software. The outstanding customer service and support has also exceeded my expectations.